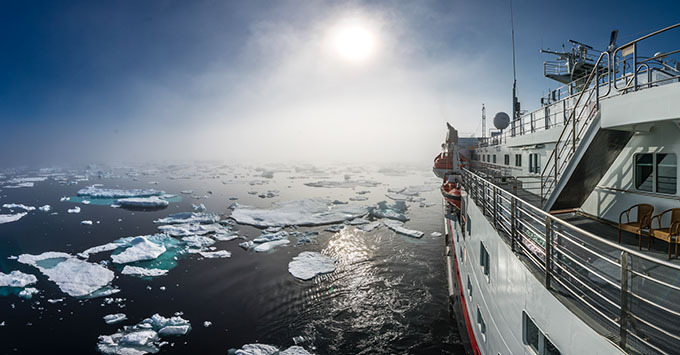 (10:35 a.m. EST) -- Norway-based adventure cruise line Hurtigruten has revealed its largest and most diverse selection ever of itineraries for 2019/2020, including the Northwest Passage and Franz Josef Land in Russia. A number of the journeys will take place on Hurtigruten's new hybrid ships, MS Roald Amundsen and MS Fridtjof Nansen, which launch in 2018 and 2019 respectively. The ships are the world's first-ever hybrid electric-diesel power cruise vessels and will be able to sail with solely electric propulsion for up to 30 minutes, to allow for absolutely silent cruising in sensitive areas. The ships herald a greener, more sustainable form of cruising and are a first for the industry as a whole. "Honouring our explorer heritage, we are constantly seeking new waters to explore. With our new ships and new itineraries, Hurtigruten is setting a new global standard for exploration travel to the polar edges of the world -- and to new frontiers," said Hurtigruten chief executive Daniel Skjeldam. Hurtigruten has been plying the Norwegian coast from Bergen to Spitsbergen for almost 125 years providing a service to isolated villages along the way, as well as offering voyages to the high Arctic and Antarctica.